I was in New Orleans for a conference. 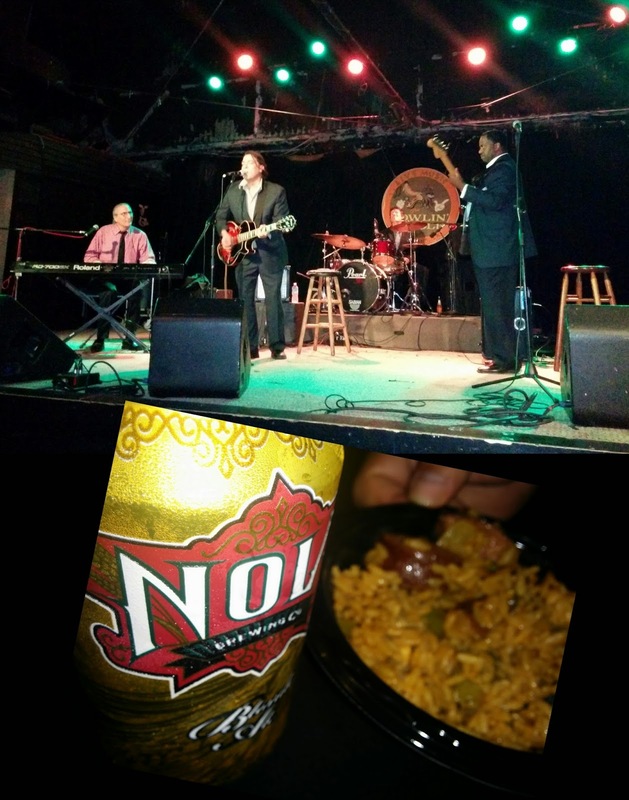 Afterwards, I was invited to a customer appreciation party at the Howlin' Wolf. A free party at a renowned music venue just steps from my hotel. Oh hells yeah I'm there! The place was packed and already jumpin' by the time I arrived. The music was fantastic; the Joe Krown Trio could really jam out the tunes! The food was delicious! The best jambalaya I've ever had. Mmmm so good! And there was beer. Not only was it free-to-me beer but new-to-me beer, as well! The beer was cold and New Orleans is hot. A frosty Nola Blonde Ale was just what I needed! Especially after a long day filled with meetings and seminars. Bring it on! 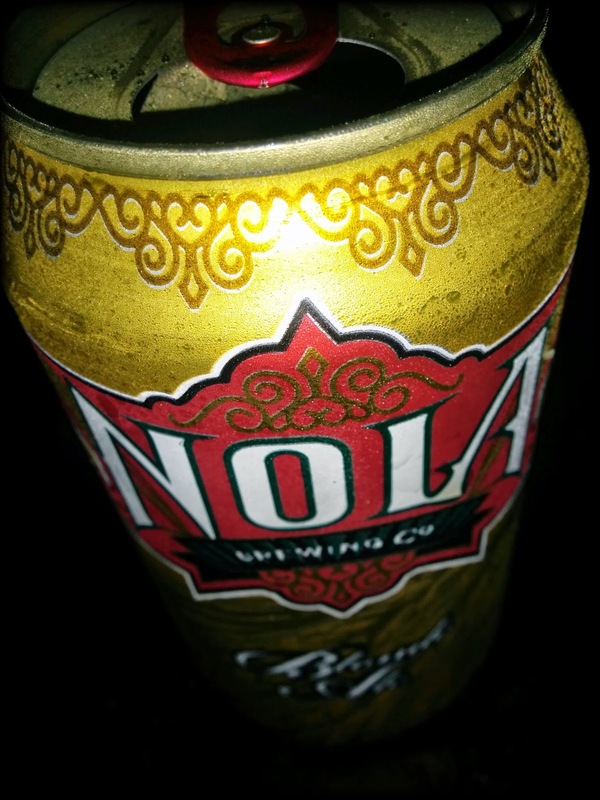 Blonde Ale (4.90% ABV) brewed by Nola Brewing Company pours an opaque golden amber. The head was fluffy but short lived, but it did leave behind some clingy lace. The aroma was malty and twinged with tart citrus. The tasty is malty and bready complimented by tart fruity citrus. This almost sweet beer is offset by a touch of earthy, pastoral hops. With barely a hint of bitterness, this is a decently balance brew. The finish is crisp and dry. The mouth feel is light and gently effervescent. 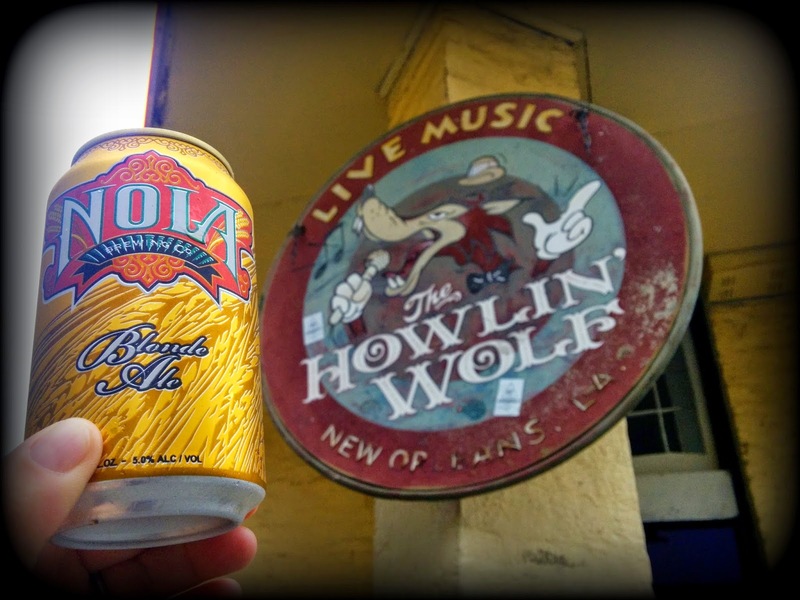 Nola Blonde Ale is deliciously light and the low alcohol content makes it very drinkable. It's not an exceptional beer but definitely a refreshing beer to cool off with on a hot, steamy day.